High school sophomore Katelyn Tuohy will compete at the NYRR Millrose Games on February 3, 2018. 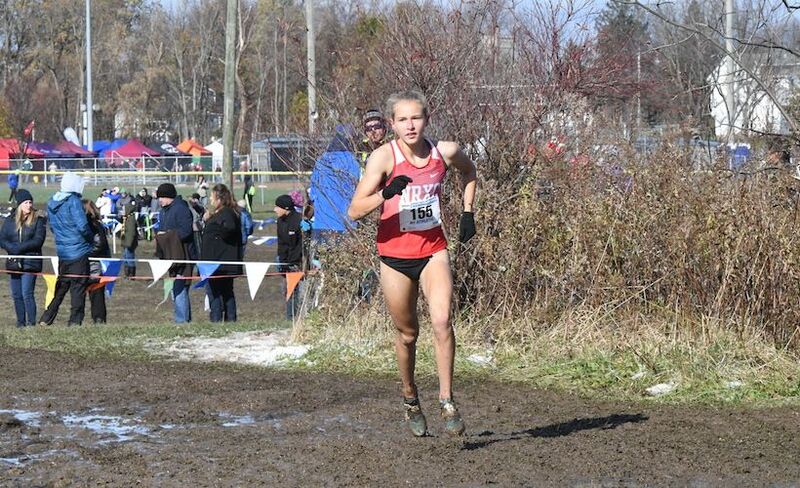 Katelyn Tuohy, a sophomore runner at North Rockland High School in Thiells, NY. Photo by Tony Morales. National running star Katelyn Tuohy is only 15, but she sounds like a seasoned athlete when talking about competing at the prestigious New York Road Runners Millrose Games on February 3 in New York City. “Going into these races, I have more confidence knowing I’ve already accomplished so much in my career,” says Tuohy, who will run the high school girl’s mile at the world-renowned indoor track and field competition. Indeed, the North Rockland High School sophomore from Thiells, NY has racked up an exceptional list of accomplishments. 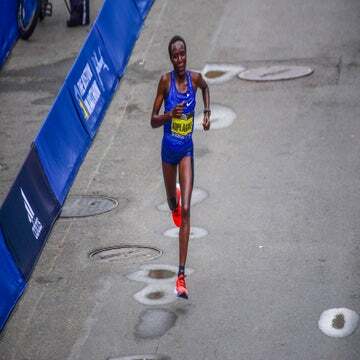 Last fall, she topped her undefeated cross country season by winning the Nike Cross Nationals in Portland, Ore., finishing in 16:44.7 and setting a new course record. Her phenomenal performances have continued indoors. 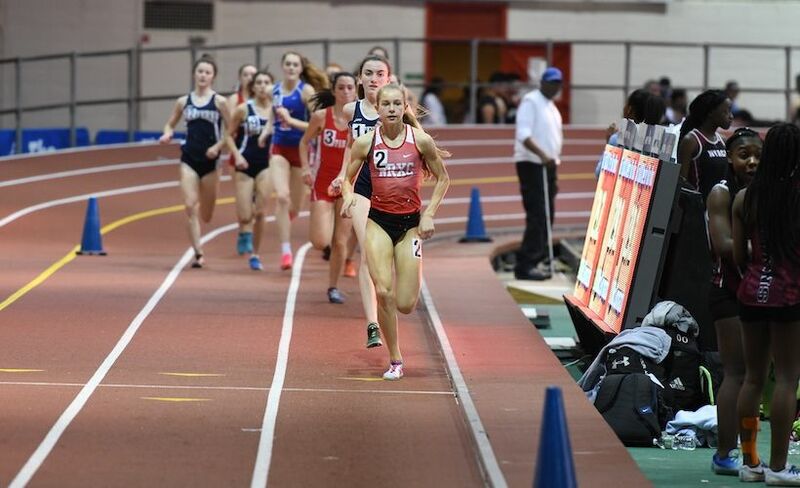 At the Ocean Breeze Freedom Games in Staten Island, NY earlier this year, Tuohy ran a stunning 9:05.26 for 3 kilometers, becoming the second-fastest U.S. high school girl ever in that event. Just two weeks later, Tuohy clocked the fastest 5K ever—indoors or outdoors—for a U.S. high school girl. Her time of 15:37.12 at the VA Showcase in Lynchburg, Va. also set a world indoor record for girls under the age of 20. Now Tuohy has her sights set on taking the title in the girl’s mile at the Millrose Games, which will be held at the Armory Track and Field Center in Manhattan. It will be her first time competing at Millrose. “My goal is to win,” Tuohy says. 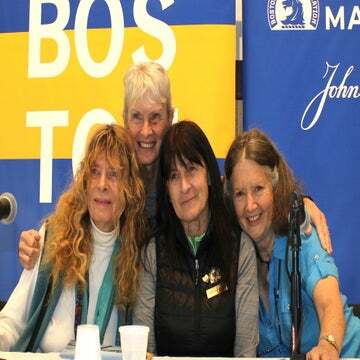 “It’s such a big meet, and it’s going to be very competitive. I just want to run my personal best in the mile.” Tuohy ran a scorching 4:43.62 mile at the NYRR Millrose Games Trials, easily winning her race and securing a spot in the high-profile meet. Tuohy’s talent has often been compared to that of Mary Cain, another teen running phenom from New York. Tuohy, just six years younger than Cain, has already surpassed some of Cain’s high school times. “To be breaking [Cain’s] records is really meaningful to me,” Tuohy says. Katelyn Tuohy leads a pack of runners. Photo by Tony Morales. 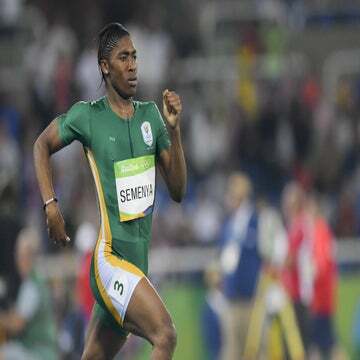 In 2013 at age 17, Cain qualified for the 1500-meter final at the IAAF World Championships in outdoor track and competed against the fastest women in the world. But since 2015, Cain, who became a professional runner while still in high school, has struggled to race well and missed making the 2016 U.S. Olympic team. The NYRR Millrose Games will take place on February 3, 2018. Interested parties can stream the event in full from noon to 4 p.m. EST at USATF.TV.